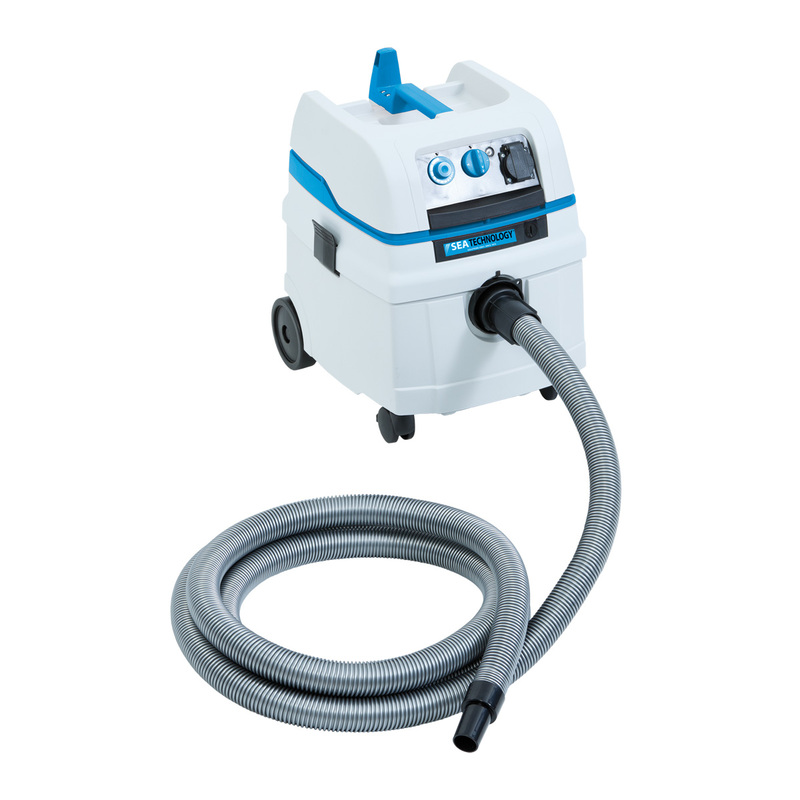 SEACLEAN 25 is usable for vacuuming dusts and liquids, the 25-litre tank is used when a limited use of water is required. The filter shaker works automatically, i.e. it starts shaking automatically but does not interrupt the machine while the two filters are being cleaned. It is supplied complete with a 4.5 m flexible pipe, additional filter and a kit of accessories that includes a set of tools for using the machine in different fields. The M class raises this machine to a better and greater dust filtering. Ideal for SEADRILL 250.